Our April’s edition of Expanding the Arena Initiative features Judith R. Lazo, RD. Judith has a wealth of knowledge in the dietetic field from her extensive experience. She shared with us about her experience promoting health and wellness in the school system as well as her most recent passion working as a nutrition educator and consultant at a local gym in Camden, New Jersey. 1. What is your educational background and how long have you been an RD? Do you have any additional credentials relevant to your position? I graduated from Drexel University in 1975 with a B.S. in Nutrition and Foods. It was after graduation I decided to become a dietitian. I started working as a Dietetic Technician 6 months after graduation. While I was in the position, it was determined I was actually performing the job of a dietitian. The head dietitian agreed to mentor me for three years with approved experience by the American Dietetic Association. Shortly thereafter, I applied to take the licensing exam and have been licensed since 1980. In addition, I am qualified to teach Consumer Sciences and elementary school. I spent 11 years in long-term care as a head dietitian, 9 years as a public health nutritionist, and 18.5 years as an educator. I maintained my license over the years knowing I wanted to re-enter the field at some point. 2. How did you achieve your position/ how did you get started with your current position? When I retired in 2013, I began volunteering at a small private school in the City of Camden, New Jersey. I knew there was a new food service program and got involved. The Director of Wellness and I collaborated, and I was written into a grant with the Horizon Foundation. The school created the Urban Chef’s program in order to train residents to become food service workers/chefs. I mentored several chefs, wrote the school menus, started taste tests in the cafeteria, and taught nutrition in the classroom. Working with the Wellness Director, we implemented movement in all classrooms several times a day and a longer period during the school day in addition to recess. This went along with Trauma Informed Classroom education the teachers were receiving because most of our students have been exposed to severe trauma. Our student population has a high percentage of overweight students. Getting them to move throughout the day would help both issues. Breakfast was started at the school with the students coming to the cafeteria. There was low participation, and knowing how breakfast improves student behavior and focus, I implemented it in the classroom. We have had breakfast in the classroom for 2 years and the teachers have noticed a marked improvement with the attention and learning. I teach nutrition and healthy cooking classes to grades 3-8. I’ve included 5-10 minutes of exercise this year with every class. It’s a struggle. The girls are self-conscious, and some of the students are difficult to motivate to join in. I’m trying different music styles with guided and non-guided instruction. 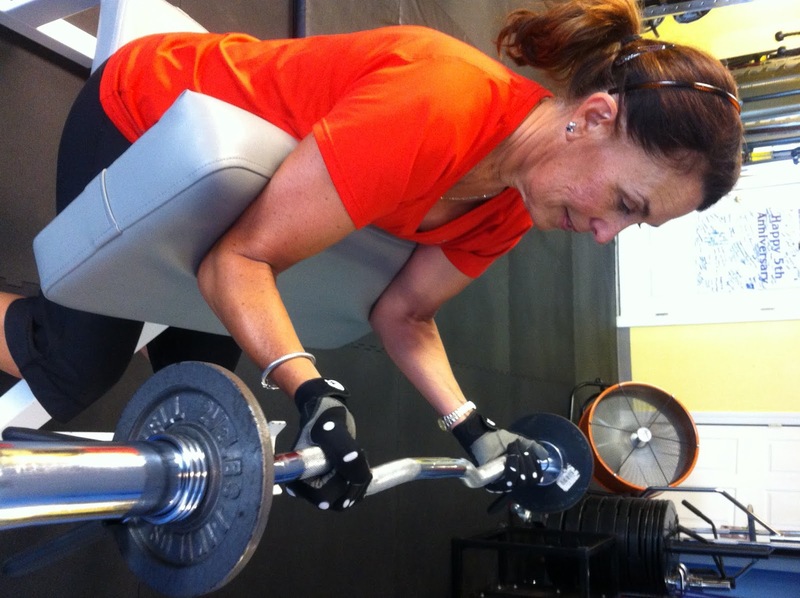 Last year, we had some dollars left in the grant, and we had a 6-week nutrition and exercise program utilizing a personal trainer who came in weekly 2 days a week. There was a small monetary prize for the winner who lost the most weight. I provided some meal plans for the participants. One of my goals is to get the staff moving! That’s next. In addition to this, I’ve been training at a small gym for 9 years. The owner started weight loss challenges a few years ago. I felt the need to get involved because he was only offering a 1200 calorie extreme plan he got from somewhere. I began offering alternative plans with higher calorie levels, more variety and included popular diets like the Mediterranean. I tailored them to different calorie levels. Most of the clients I have found want to have what they are going to consume in black and white. I provide information on how to make the most of their workouts regarding fueling before and after, whether it’s at the gym or an upcoming triathlon or half marathon. In addition, I’ve counseled several gym clients for free. The owner has referred them to me, and in turn, I counsel and barter for free training sessions. I’ve given free seminars for the clients on topics ranging from meal prep to so called super foods. The owner of the gym has been taken in by different fads. We have discussed in length Juice Plus, taking protein powders, different fad diets, meal replacements, etc. I know I’m making headway with him; although, there are setbacks from time to time. For the current weight loss challenge I consulted with the owner about running a 6-week session rather than 3-week session, knowing it takes at least a month to instill a routine/habit of going to the gym or making healthier changes to your intake. I won out on the length of the challenge and lost out on my offer to counsel individuals for free about nutrition goals. His idea was to eliminate a food for 2-weeks then reintroduce gradually. I feel like pulling my hair out! 3. What key areas of knowledge/experiences did you need to have before this job? I have had to educate myself through online classes in order to feel confident in counseling and sports nutrition. Don’t forget, I have been out of college for years, and when I was in college, courses in sports nutrition weren’t in the curriculum. I believe my years as an educator helped with being able to speak in front of groups. 20 years working in long-term care and public health nutrition have given me a solid background in the entire life cycle and related health issues. 4. What are the highs and lows of your position? I would say at my age of 67, it’s daunting to think of working in sports nutrition. I’m older and need more education in the field. I strive to take courses related to sports nutrition. I’m contemplating certification as a trainer. Why? There’s a need in the older population and in corporate wellness. Having credentials in both fields could ensure work in the field I love. There are many young men and women doing now what would have been an awesome job for me 40 years ago. Unfortunately, there wasn’t much interest then. I wonder if I will get hired and plan to try. My typical day begins with a healthy breakfast, going to the gym or getting outside to walk/run/bike. I teach 3 days a week. Posting on social media on Facebook, Twitter, or Instagram has been enjoyable. I find there’s quite a bit of false information and try to right it. I have more time to post working part-time. 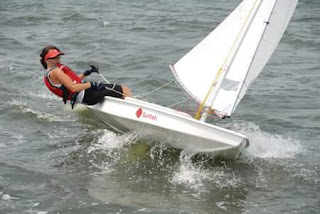 On the weekends you can find me racing my single-handed Sunfish on the nearby river or somewhere at the Jersey shore. I cook from scratch on the weekend planning for the week ahead. 6. What advice would you share with an RD (or RD2be) that is interested in a similar career path? I would recommend getting your feet wet in as many areas of sports nutrition as possible. Free advice is greatly appreciated and may lead to paid jobs in the future. Offer to talk to local school athletic associations, colleges, gyms, senior centers, food banks, and small companies that might not be able to provide sports and/or nutrition to their employees is another area. 7. What are some of your interests outside of work? My interests outside of work are healthy cooking/eating, racing my sailboat, working out, and spending time with my family. 8. What do you love about your career/job? I have enjoyed nutrition and foods for over 40 years. I enjoy helping people realize they can be successful with a healthy lifestyle related to food. 9. Is there a course you took in undergrad or grad school that has helped you in your current role? I can’t really say any one course was outstanding in school. Actual job experience is the best way to gain confidence. 10. What are some of the unique nutritional considerations you must consider for the group(s) you work with? In my work with the school, I have to consider the economics of the families along with related health issues that may be inherited or be the result of the environment. There are many outside influences. Students aren’t allowed to go outside and play due to dangerous neighborhoods. Parents aren’t active or are working and don’t have time to exercise and be a positive role model. At the gym, it’s a challenge to have clients learn about lifestyle changes and avoid yo-yo weight gain. I see clients come in for 3-weeks and lose weight and inches, and then they disappear. A few months later, they are back and so is their weight. Educating the owner on how to maintain clients and have them be accountable in order make permanent change has been a unique task. I would love to have more input and counsel clients individually for a longer period of time. I’m treading water lightly here and hope to see the day it happens. I’m not sure, but I think when the bottom line is dollars, most gym owners are more concerned with clients walking in the door rather than the entire package of exercise and nutrition. I know their knowledge is limited. I can’t tell you how many gyms are running weight loss challenges using supplements and extreme eating plans and not using the expertise of an RDN. If I can figure how to bridge the gap, it will be monumental.